We have a brand new botanical perfume available right now. 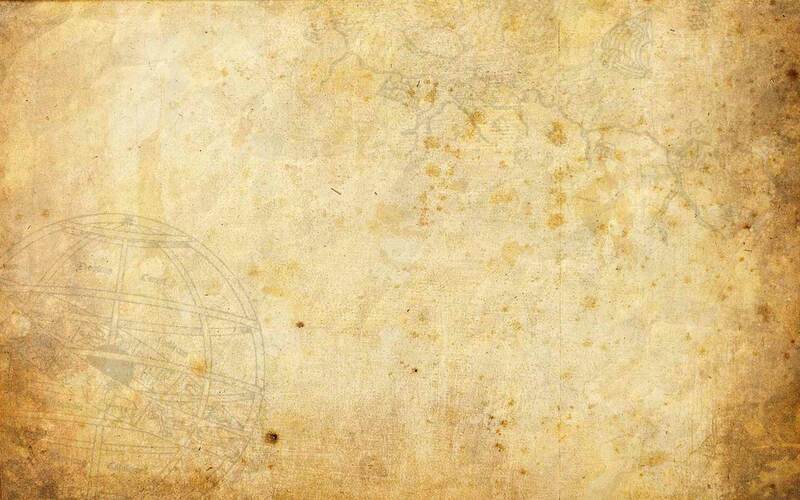 We've been working on this top secret project since last year, along with other indie and niche perfumers. Project Talisman was created by Michelyn Camen, Editor in Chief of Cafleurebon. You can read about the project here:http://www.cafleurebon.com/cafleurebon-project-talisman-a-multi-perfumer-collaboration-to-commemorate-our-7th-year-anniversary-perfumes-of-protection-draw/ The perfume itself and the artwork are purely a Solstice Scents original. We're very excited to offer Guardian, available in 60 ml EDP spray, 5 ml roll on (organic cane sugar alcohol based), 2.5 ml EDP spray and 1 ml samples available in the 5 or 10 packs or free sample at checkout. Guardian is not for women who are pregnant or nursing. 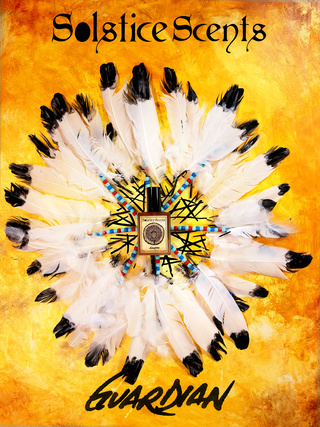 Guardian is a natural botanical unisex talismanic perfume. It features botanical elements associated with protection which are further enhanced with rowan flower essence and black tourmaline gemstone essence. The fragrance is a forest chypre with a full-bodied glowing amber core. Top notes of sacred white sage, wild desert sage, clary sage, spruce and bergamot lead to a rich pinyon pine and a dense shadowed forest aroma of fir balsam absolute. The base consists of a radiating and pervasive golden amber accord, sandalwood, oakmoss, Haitian vetiver, aged patchouli, Alaskan cypress, alligator juniper wood, green spikenard, muhuhu, oud and a hint of mushroom absolute. A very subtle addition of shiso leaf provides a crisp, spicy green nuance. Guardian features the amber accord in the foreground with the comforting cloak of thick forest, sticky tree resin and conifer needles delicately encircling it. The dry woods, earth and oakmoss surround the amber on the dry down. Guardian opens with very light notes of pine, the sage trinity and a touch of fir and lots of amber. This perfume is very amber focused. The dry down features a lot of sandalwood and other soft warm woods with the amber. This dry down combo would be closest to the dry down of the original Conjure, though nowhere near as sweet and no spice. It also slightly reminds me of the dry down of Jack and the Devil due to sharing the following notes with Guardian dominantly: amber, patchouli and oakmoss. The amber is golden and sweet but also has the smoky, sour, resinous bite of the unsweetened rock rose. Despite the pine and forest notes, this is nowhere near as woodsy as our actual foresty/woods blends such as Night Watcher, Wolf Spirit, Covered Bridge or Runestone. It has a very slight similarity to the opening of Wolf Spirit or Desert Thunderstorm due to the sage and pinyon pine combo, though much lighter than in these two. There is no petrichor. This will be available shortly at the Rhinestone Housewife for our international friends. Guardian is a natural perfume and as such, wears differently than some of our synthetic blends. It opens strong and wafts for a good hour before starting to settle a little closer to the skin. The base notes do last for many hours on the skin but they do not have a bombastic throw like synthetic perfumes do. If you're warm, you'll notice the amber will occasionally diffuse with your body heat but wears a little more intimate after the first hour. Apply generously to unscented moisturized skin for best results. Posterior application (think forearms instead of interior wrist area) is recommended. 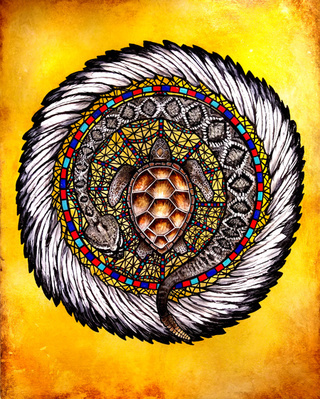 The turtle shell is my armor, the spiderweb holds negativity in its sticky silken thread, the venom of the rattlesnake protects me and the eagle allows me to fly from danger. White Feather Eau de Parfum is available once again in 60 ml EDP and 2.5 ml EDP sample sprays. This perfume has been out of stock for a while due to trouble sourcing a few of the saffrons used in the formula. This formula smells pretty identical to the original. The only difference is the saffron CO2 has been replaced by saffron absolute and I'm using a different vendor for the saffron attar. This batch also contains our home made Gardenia Enfleurage from our 2016 flowers. OTHER NEWS: The discontinued Halloween Night 5 ml perfume oil is on sale while supplies last. We are no longer stocking the Fall Collection perfumes. The last of Blackburn Farmstead and Halloween Night are listed. Sycamore Sugarworks has moved from General Catalog to Fall Collection only and will soon be removed from the site. We are sold out of Gehenna, Witch's Cottage and Foxcroft perfume oils but do have some of the 2.5 ml EDP sample sprays available. We are starting to wind down production of our Winter Collection perfumes. The Spring Collection release will be available in early May featuring returning perfumes and new perfumes. The Rhinestone Housewife - 60 ml EDPs can be purchased by international customers from this site. US vendor carrying a variety of our seasonal and General Catalog perfumes. Femme Fatale Australia - Australian etailer and brick and mortar store carrying a variety of our seasonal and General Catalog perfumes. Pretty Indulgent - Canadian etailer carrying a variety of seasonal and General Catalog perfumes - NOW AVAILABLE! Solstice Scents Community is a casual discussion group for Solstice Scents fragrances, products, releases, restocks. This is a community for customers to interact and enjoy themselves.